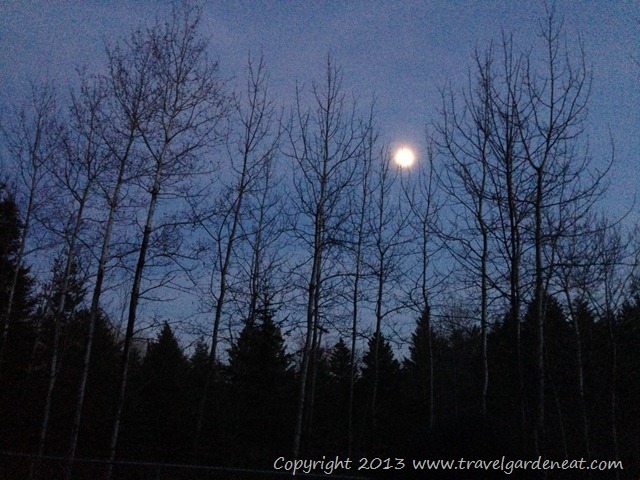 Running By Moonlight – Travel. Garden. Eat. Love your shot of the moon. Tonight my daughter and I thought it should be Halloween the way the moon looked. Great capture even if it wasn’t with a fancy camera. Lucinda, thank you — it has been such a pretty moon this week. Very nice! I can feel the crisp, cool air just by looking at the picture! Thanks, Tiny – it was such a beautiful evening! A beautiful moment of gratefulness. And I have to capture and keep Jesse Owens’ quote as I realize that is why I keep running yes running tho as you say it may not be far or fast. Grateful to you and Corbin for inspiration and for just enjoying the moment. It’s been a struggle to make time to get out the door, but there’s never a regret of time lost once you’re out!